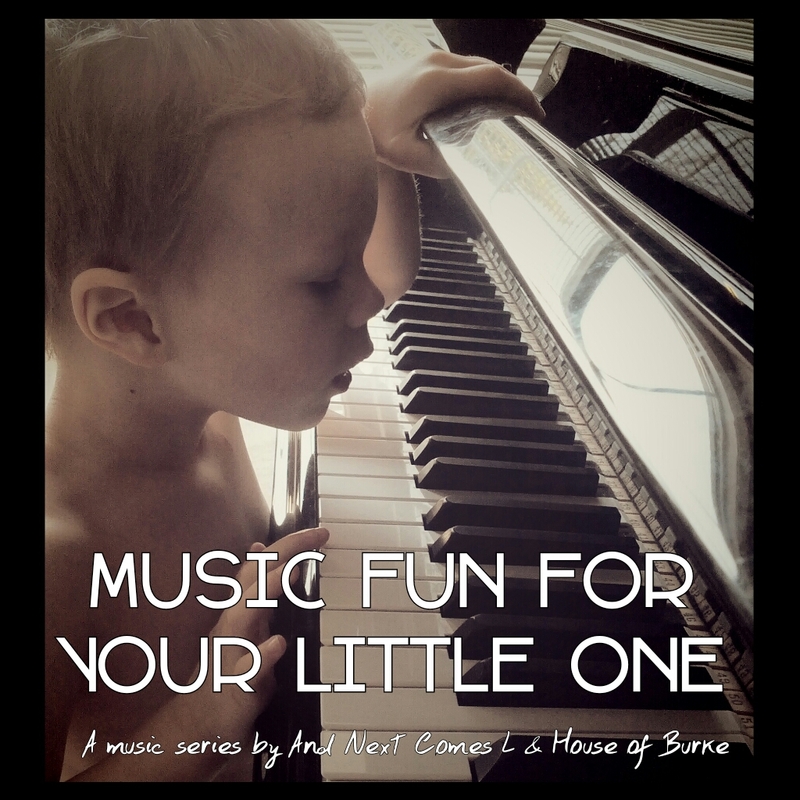 Fun musical activity for kids that combines music with hide and seek. Using one's ears is part of listening to music. And being able to locate where a sound is coming from using one's ears is a great way to introduce your child to music. 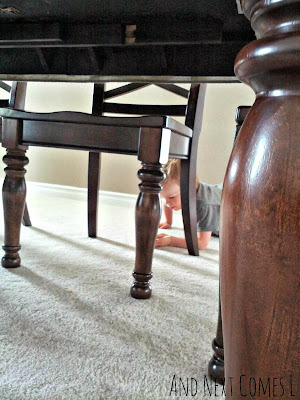 So when I came across this Musical Hide and Seek activity from Click, Pray, Love, I just had to try it. I only wish I had thought of this idea by myself! All you need is a musical toy, some hiding spots, and some ears. 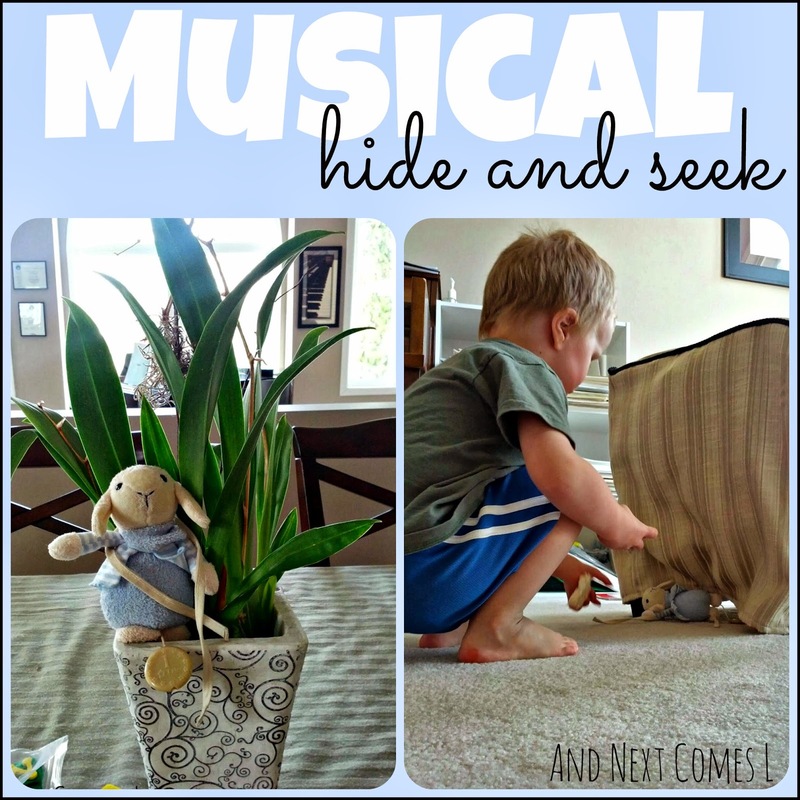 Music Game for Toddlers & Preschoolers: Play Musical Hide & Seek! 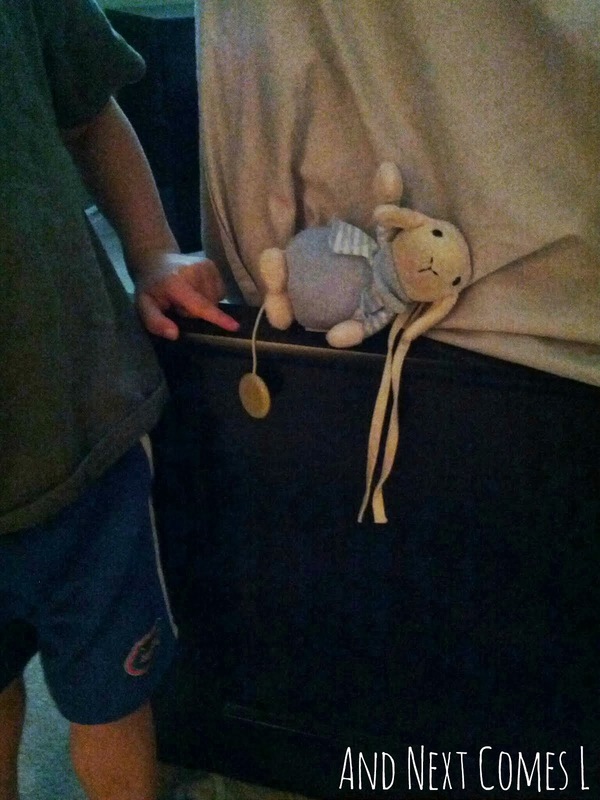 We have this adorable sheep that plays a lullaby by Brahms. My parents brought it back from Greece when J was just a baby. 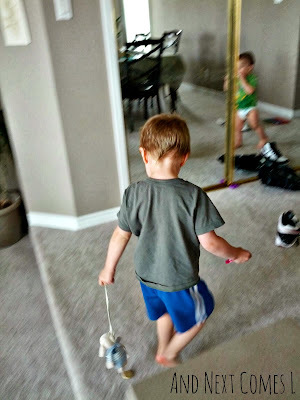 Well, it is now one of K's favorite toys and luckily, he hasn't played with it in a few months. I say luckily because it added some extra excitement (and incentive) for K to play this game. 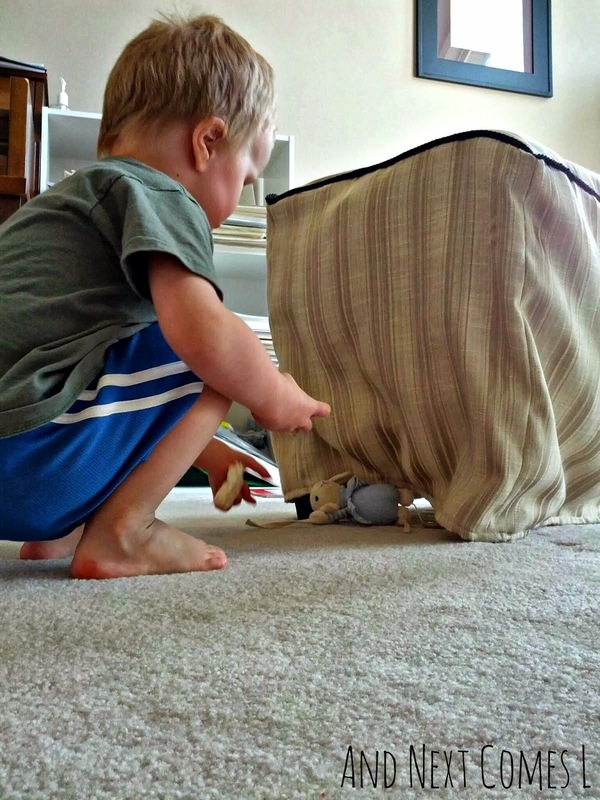 To play, simply turn on the music and hide the toy and have your child search for the toy by using their ears. First, the sheep hid in the dark on the edge of my bed. 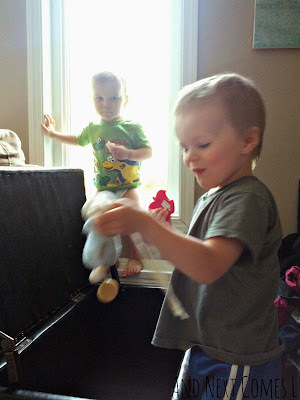 J quickly found it, happily exclaiming, "Found the sheep, mom!" Then it hid under the piano bench. Then J took off running, ready to hide the sheep again. Then I decided to make the game a bit more challenging. I hid the sheep inside a storage ottoman. And that's when the game became more fun for the boys. They could easily locate the area that the sheep was in, but had to look under, on top, and inside to figure out where it was hiding all before the music stopped playing. 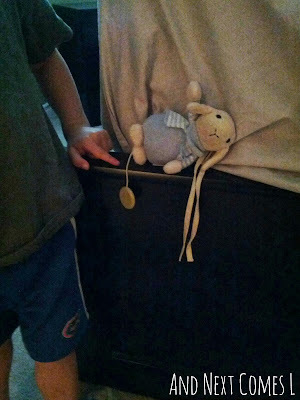 After looking underneath and on top, J found the sheep inside the ottoman. I apologize for the blurry picture, but the boys were moving so quickly that it was nearly impossible to get a clear picture! 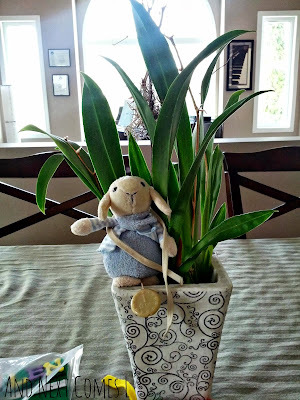 This activity was so simple, but a lot of fun. J was more into it than K was, but it was great to see how they would pause to listen with their ears. 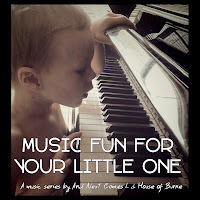 This post was part of the "Music Fun for Your Little One" series brought to you by me and House of Burke. Be sure to read all the other posts in the series! They had a blast, that's for sure! my son is three and a half, he is talented in many ways but finding things based on sound is not one them. He is useless to the point of it being a running joke in our house. You can be standing in the middle of a room calling to him and he will go into every other room in the house - even going upstairs to try and locate you. I'll have to get him playing this to see if we can improve his ability to detect through sound. This activity could definitely help with that. Good luck and I hope he enjoys it! This is a great way to get kids to really pay attention to listening. And hide-and-seek is always fun anyway!